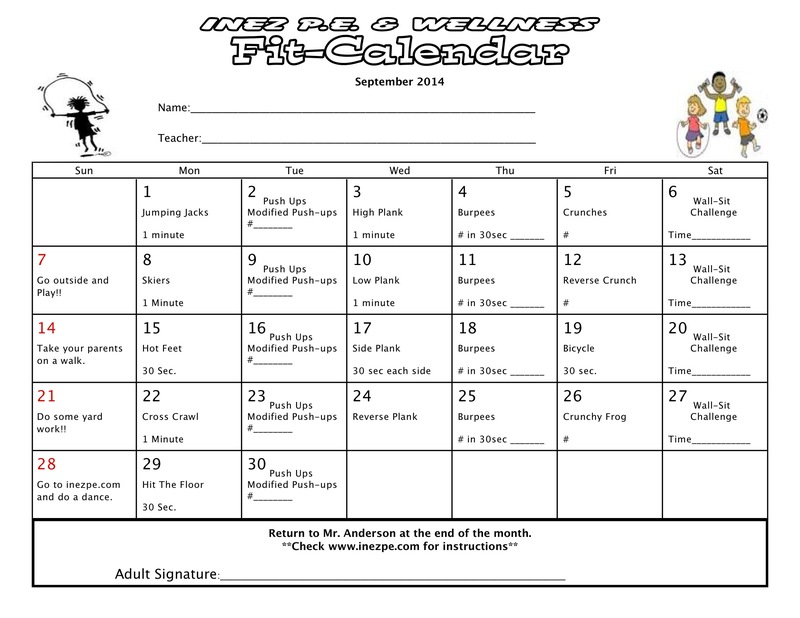 September Fit-Calendar!! | Inez P.E. Return to Me at the end of the month for a PRIZE! !